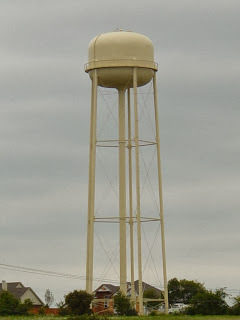 For a long time, every time I would go to sleep or wake up, I would have the physical sensation that I was hugging something HUGE and HARD , like a water tower: lil ol' me with my arms spread out and my cheek pressed against something cold and white. I knew this was a choice. What extravagance! The Creator of the Universe was allowing me to choose: did I want His perfect Will for my life, or would I choose something easier? Time and again, every time, I would say “Yes, I wanted all HE had to offer”. This came right after a period of time when I had come to Peace with my very painful past. I could finally look at pain upon pain that HE had allowed and say to Him “it is well with my soul”. I asked Him to be Lord of not just my Present and my Future, but Lord of my Past. I could finally believe that HE could turn MY ashes into beauty and I gave Him permission to use those experiences for me to minister to other women. Then I had to choose, would I embrace more pain or the easier road? More anointing? More of His Presence? As I write this, HE is showing me the words, HUGE and HARD. This is that. What my family has been walking through is THAT. I know this is a promotion, I have known it is a promotion, but I have almost fallen away a few many times. I am weak and broken. I am a woman who is small in Strength. I have endured more than I imagined I could have. There are many times I thought I could not go on, but HE has sustained me. Not in a pretty, Spiritual way. HE has brought me through in a raw snot-filled, gasping for air, kind of way. But HE has brought me through. HE has sustained my mind through things I did not think I could bear. I know I would be in a padded room without Him. I know I do not deserve His Grace and Mercy. I know His tenderness is extravagant. I know the pain I have endured is nothing compared to His. Yet HE loves me. HE soothes me. HE is gentle with me. When the whole world walks away, HE is there. HE is HERE. Right HERE, wherever you are, HE has gone ahead and made a way. Don't YOU know what the LORD has brought you through? (How can we ever know, this side of Heaven?) Selah – pause and reflect. You are here, HE has a purpose for you. What do you need to give to Him? Anything you are holding back? What have I done to bring about the greatest change in me? I flow in the gift of HUGS.